Your child may find school more difficult than any other setting! School is rarely a good environment for children with autism. And that's a problem for two reasons. First, autistic kids spend a huge amount of time learning how to cope with an environment that is out of sync with their abilities and challenges. Then, having struggled for years to build those skills, they then must LEAVE that environment for a completely different situation when they age out or graduate. For many autistic kids, school is far tougher than any work environment — for many excellent reasons. Sensory Dysfunction: Even kids who have a mild over-reaction to loud noise, bright lights, and other sensory input are almost certain to become anxious and overwhelmed as a result of loud buzzers, fluorescent lights, yelling children, echoing gyms, and many of the other days to day experiences that are "baked into" public school. Children with autism are, by definition, facing sensory challenges. The Difficulty with Reading or Speech Comprehension: Standardized testing and "rigor" mean that even very young children are expected to comprehend and act on or respond to spoken and written language — at top speed. As kids get older (meaning older than age 7), any nod in the direction of hands-on or visual learning disappears — and verbal expectations increase. Children with autism are almost certain to be at a serious disadvantage, as verbal expression and understanding are a major challenge. Executive Functioning Challenges: Executive functioning is the ability to plan and execute multi-step projects, bearing in mind things like project parameters, timeline, and other factors. In other words, it is the ability to manage homework, school projects, studying for tests, and planning ahead for events, summer opportunities, and more. Executive functioning is a major challenge for almost all autistic people. Fine and Gross Motor Challenges: Fine motor skills are critically important for writing, drawing, cutting, pasting, and manipulating small objects such as glass microscope slides and tweezers. Gross motor skills are used for jumping, kicking, throwing, running, and skipping. 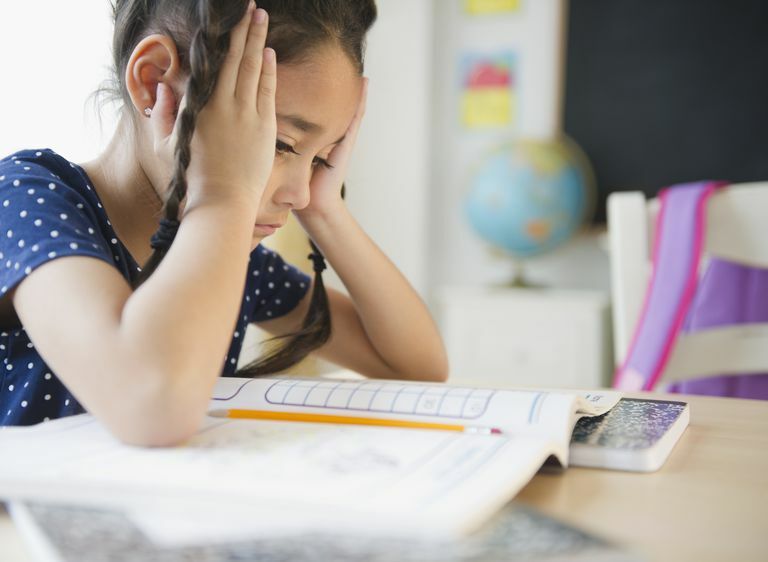 Mild to moderate problems in these areas — which are shared by most people with autism — can create severe challenges in the classroom, playground, gym, and playing field (among other school-related venues). Motor planning (how hard should I kick? Can I safely jump off this swing?) is another important, related challenge. Social Communication Difficulties: Autistic children, teens, and adults all share difficulty with social communication. Sometimes the difficulties are very obvious and severe — but even for an autistic child with good language skills, social thinking can be incredibly challenging. In school, social challenges are everywhere, all the time — and they are constantly in flux. What's appropriate in the classroom is entirely inappropriate in the halls, the gym, or the playground. It can be very tough for autistic kids to tell playful teasing from bullying, or to recognize sarcasm or humor. Even if a child is able to master appropriate social skills in grade 1, the rules will change in the summer — and they'll change again in the fall. Difficulty With Changes in Routines and Schedules: Kids with autism thrive on routines. But even during the course of the school year, it can be tough to ensure consistency in routines and schedules in the school setting. From extended vacations to teacher training days and snow days to assemblies, standardized testing days, special events, and substitutes, school schedules are a constantly moving target. Children with special needs have the added burden of needing to leave classes — often in the middle — to attend therapy sessions, social skills groups, and other programs intended to help them handle the very experiences they're missing! Difficulties Surrounding Changing Rules and Expectations: Each fall, as students return to school, they find some things are the same — but may have changed. Teacher X has no problem with students standing up and stretching; teacher Y has no tolerance for such behavior. Teacher X wants all students to show their work, while Teacher Y just wants to see that you got the right answer. Even more challenging than changes in teacher expectations are changes in peer behaviors, interactions, expectations, norms, clothing styles, cultural preferences, and even word choices. Last year, it was fine to say that you loved "Sponge Bob" — and saying "that's neat!" was fine. This year, "Sponge Bob" is utterly uncool, and you're suddenly supposed to say "awesome" instead of "neat." Kids with autism have tremendous difficulties in picking up on and implementing unspoken changes of this type. Lack of Tolerance for Autistic Behaviors and Passions: You would think that, in today's world, teachers would understand and act on the reality that kids behave and learn in different ways. But, in many cases, you would think wrong. Sometimes that's because a particular teacher finds it upsetting or distracting to have a student who rocks, flicks, or otherwise moves in unexpected ways, talks too much about a special interest, or has trouble collaborating with peers. Just as often, the teacher is handicapped by the expectation that her class will progress at a certain rate and be able to respond to standardized test questions in a predetermined format at a pre-determined speed. Bottom line, 21st-century schools are not designed to be universally accessible. Instead, they are designed for a particular group of students — those who are able to manage all the challenges listed above. For students with differences of any type, there are "special" accommodations — often consisting of "separate but equal" classrooms, activities, and even curricula. For students with autism, the school can be more challenging and difficult than almost any other setting. This, in itself, represents a problem. "Johnny can't even handle third grade," many parents, teachers, and administrators think — "so how in the world can he handle a musical instrument, swim team, chess club, Boy Scouts, or any other outside activity?" The reality is that, for many autistic kids, it's only outside of school that their real talents, interests, and abilities can be seen.